The fabric is comfortable, squat proof and leg length is good (5”7), but the waistband is odd and lacks structure so it leaves unflattering mis-shapen bumps around the hip, waist and stomach area (even when pulled up super high) - Size 8! I recently recieved these leggings and they are perfect! Totally squatproof and are practically the same as gymsharks. Definitely going to order them in different colours, i think they need to do some more colours aswell. What I love the most about these is the fact that they reach my ankles; I'm 5'7/8 and I have long legs proportionally to my torso so finding leggings that fit at a full length is a challenge. I bought a M and I'm size 12 with thick thighs, I found that these were the only leggings from the seamless bunch that were actually true to their size. The material is so lightweight and fits in a way where's there rooms for you hit depth when squatting etc. The main and only con really is the waistband, it slightly cuts into the stomach are so there's that slight side bulge no girl really wants cause they're not high-waisted, so if you're not super lean then that may occur, nonetheless it isn't uncomfortable, it's more an issue to do with the end look. Essentially, if you're actually a muscular/curvy girl, buy this whole range cause of the myprotein leggings only this will fit how you want them to. I usually wear a size 10/12 so ordered a M and they are perfect fit and super comfortable! Best leggings I have ever bought and ordered 2 more pairs after trying them on! Better quality than gymshark which is overpriced and not worth the money! 100% would recommend these leggings as they are super flattening, amazing quality, and not see through. Brilliant product thick material not see through!! Very flattering all around, comfortable and not too tight in the front so nothing isn't shown off that you don't want to. Found it hard now when purchasing to choose size as it only had UK sizing torn between the S or the XS. Ireland Size I'm an 8 in jeans and pants so I got the xs and they fit perfect if i got the small they deffo would've been too big. I will definitely buy these leggings again and would recommend them they're hard work out proof and squat proof! Over all so very happy! Perfect fit & so comfy. These are fantastic! They are so comfy and fit perfectly. They are definitely squat proof and allow plenty of movement when exercising, which is what you want ideally. One of the best pair of workout leggings I have ever bought, I'll be purchasing more colours for sure! Love these leggings! 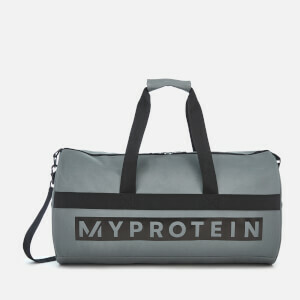 Ideal for wearing in the gym whether or not you’re doing HIIT circuits, running or weights. They stay up when you’re moving a lot and are squat proof. Very reasonably priced too in comparison to competitors ie: gymshark. Good value for money.